The Kawanishi N1K Kyufu (“Strong Wind”), Allied code name “Rex” was an Imperial Japanese Navy floatplane fighter. The Kawanishi N1K-J Shinden (“Violet Lightning”) was an Imperial Japanese Navy land-based version of the N1K. Assigned the Allied code name “George”, the N1K-J was considered by both its pilots and opponents to be one of the finest land-based fighters flown by the Japanese during WWII. ​The N1K possessed a heavy armament and unusually for a Japanese fighter, could absorb considerable battle damage. The N1K-J evenly matched the F6F Hellcat and was a better match than the A6M Zero against such aircraft as the F4U Corsair and P-51 Mustang. Despite such capability, it was produced too late and in insufficient numbers to affect the outcome of the war. The first land-based N1K-J flew on 27 December 1942, powered by a Nakajima Homare radial engine, which replaced the less powerful Mitsubishi Kasai engine of the Rex float plane. Because of the large propeller, the aircraft had stalky landing gear. An unique feature was the aircraft’s automatic combat flaps, that adjusted automatically based on acceleration, freeing the pilot from having to do this and reducing the chance of stalling in combat. N1K1-J aircraft were used very effectively over Formosa, the Philippines and later Okinawa. Before production was switched to the improved N1K2-J, 1,007 aircraft were produced, including prototypes. The N1K1-Ja, Model 11 (subject of this kit) had not frontal 7.7 mm Type 97 machine guns, only four 20 mm Type 99’s in the wings. About 18 variants were made of this aircraft. Total production of all variants came to 1,435 examples. This kit comes in a shrink-wrapped tray and lid type box. 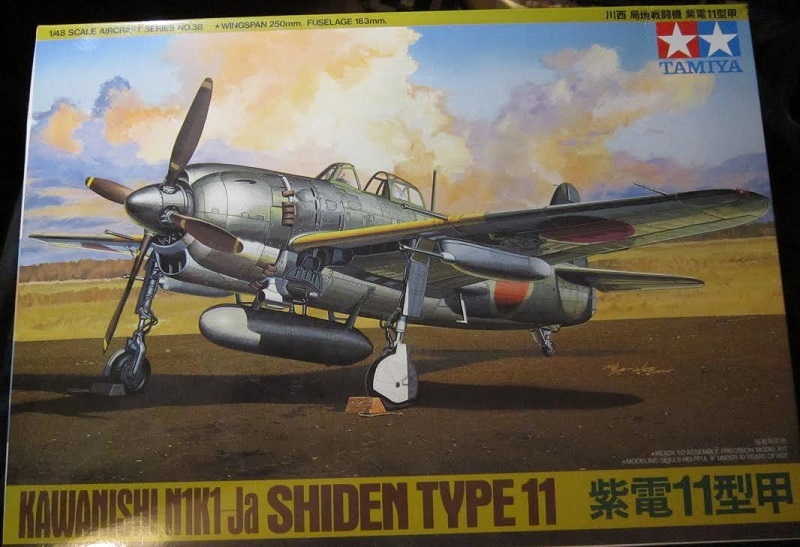 The box art shows a N1K1-Ja sitting on a runway. It is in IJN dark green above a IJN gray undercarriage. It has the belly-mounted drop tank fitted. Because the port wing in this illustration blocks the tail, marks on the tail are unknown. 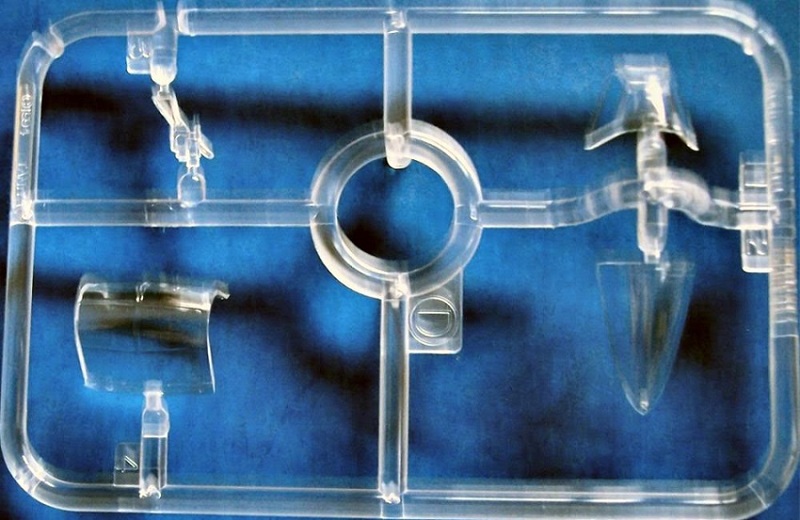 A side panel has a color 3-view of a N1K1-Ja with drop tank in the same top color as the box art illustration, but with a flat aluminum undercarriage. It has the tail code 341S-23 in yellow-orange. This is identified as being from the 341st Naval Fighter Group, 402nd Fighter Squadron. Next to this illustration is a paragraph in Japanese, the copyright for the kit of 1994 and Tamiya’s address in Japan. The other side panel has another color 3-view of an aircraft with the same scheme as the one from the 341st, and also mounting the belly fuel tank. The tail code is a Japanese character –7 in yellow. It is an aircraft from the Tsukuba Fighter Group. It too has a paragraph in Japanese beside it. Inside the box are two large medium gray parts trees, one small medium gray tree and a clear tree in two sealed cello bags and a cello bag with 2 black vinyl bushings.. The decal sheet and instructions complete the kit’s contents. The bottom tray of the box has the black and white box arts of 15 aircraft kits and 10 armor kits that Tamiya marketed. The long sides of the tray each have rows of illustrations of hobby tools. The instructions consist of a single sheet that accordion folds out into 8 pages of 6 7/8” x 10 ¼” format. Page one begins with a black and white photo of the model made up in the Tsukuba Fighter group marks and scheme. This is followed by the history of the N1K1-Ja in 8 languages, including English. Page two begins with READ BEFORE ASSEMBLY instructions, illustrations of some tools and a bottle of glue and a listing of Tamiya brand paints suggested to use to finish the model. The bottom of the page has the first assembly step drawing. Pages three through six give a balance of a total of 9 assembly steps. Page seven has a 4-view of the scheme and markings for the Tsukuba Fighter Group (already described above). The propeller spinner was the same dark green as the upper surfaces and the blades were brown. The leading edges of the wing were painted yellow-orange. Locations of all stenciling is shown. Page eight has 3 side profiles for schemes and markings. 1. An aircraft from the Yokosuka Fighter Group, tail code backwards letter E followed by –110 in white. There is a yellow stripe above this code. The aircraft is in dark green above IJN gray below. 2. An aircraft from the 341st Naval Fighter Group, 402nd Fighter Squadron, tail code 341S-23 in yellow-orange. It is dark green above flat aluminum undercarriage. 3. An aircraft also from the same 341st Group, 402nd Fighter Squadron. In the same dark green over aluminum. It tail code is 341-16 above a line that has a letter S below it, all in white. 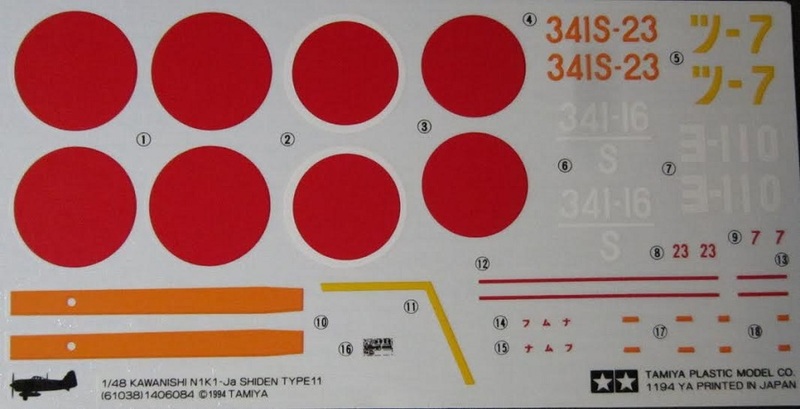 The bottom of page eight has decal application instructions and a after-market service card, in Japanese only, to mail to Tamiya about any problems with the kit you encounter. ​There are no parts tree illustrations in the instructions. However, the parts trees are alphabetized and numbered and so are the assembly steps. 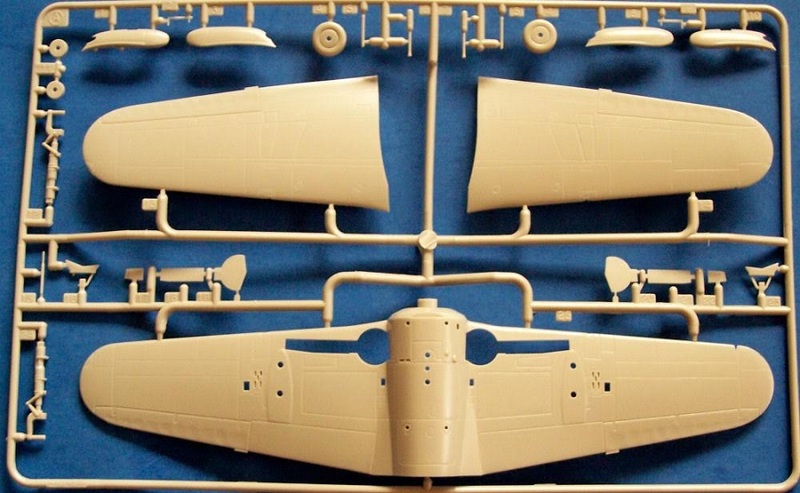 ​Panel lines are engraved, however the control surfaces are molded solid and would take surgery to re-position them. There are 2 of the black vinyl bushings. One is a spare, in case you drop one into your shag rug and the monster that lives there eats it. This is for retaining the propeller. The decal sheet holds the markings for the 4 different aircraft schemes, already mentioned. In addition, it has the wing leading edge yellow-orange panels and numerous stencil marks, including the manufacturer’s data plate. The cockpit area can be modeled open or closed. The cockpit detail is very good, but could stand some seat belts yet. There is no pilot figure in the kit. All detail is engraved. 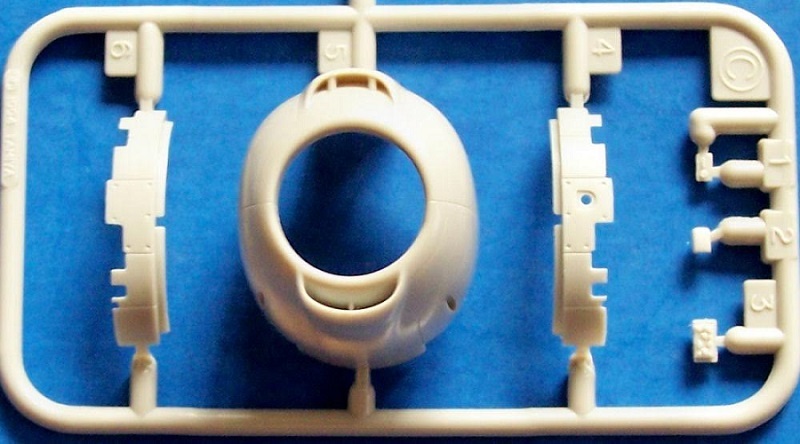 The control surfaces are molded solid and would take surgery to re-position. 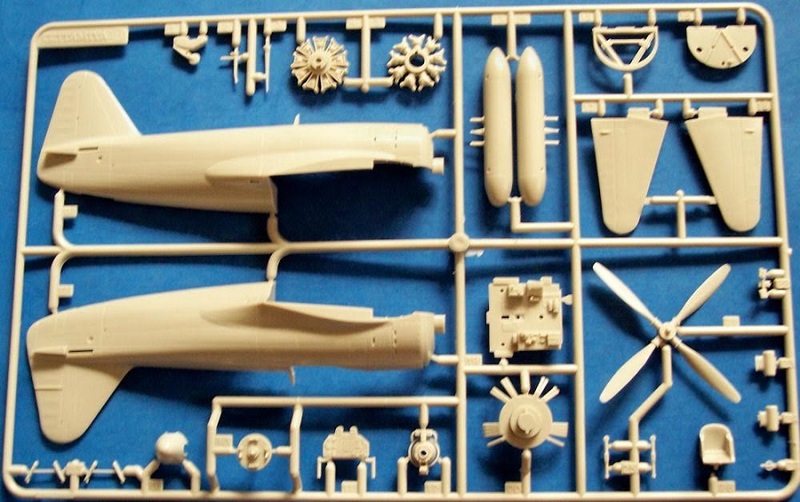 ​This is a very nicely detailed aircraft kit. Recommended. Kit was courtesy of my wallet and bought at my local hobby shop in 2009.